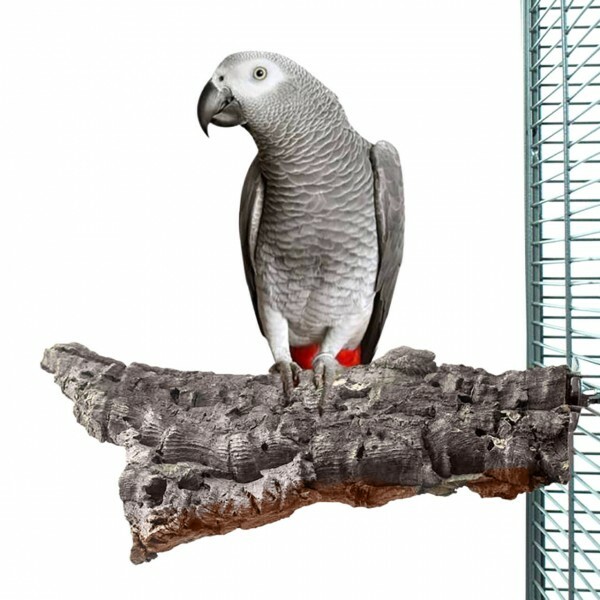 Ideal for medium to large sized birds to enjoy and shred or as a resting place for smaller birds. Cork has the characteristic that it is more flexible and stronger than just bark and yet it feels nice and soft. Birds find the cork great for gnawing and playing! gift your bird many hours of enjoyment. (ATTENTION ! : Since this is a natural product, therefore each item is a unique piece. There may be slight variations in size, shape and color compared to the picture. Suitable for all smaller birds such as parakeets, cockatiels etc. customer reviews on "Corky Chew Large"
Meine 2 Nymphensittich sind überglücklich und somit ich auch! Vielen Dank für die blitzschnelle Lieferung und für den tollen Artikel!